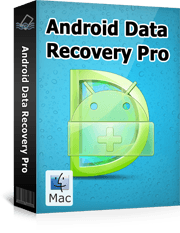 "Android Data Recovery Pro for Mac is such an excellent data recovery tool for Android devices. I was worried that I lost some important messages on my Samsung Galaxy S4. Luckily, a friend of mine recommended this software to me and I finally got back all lost files. It's worth a try."